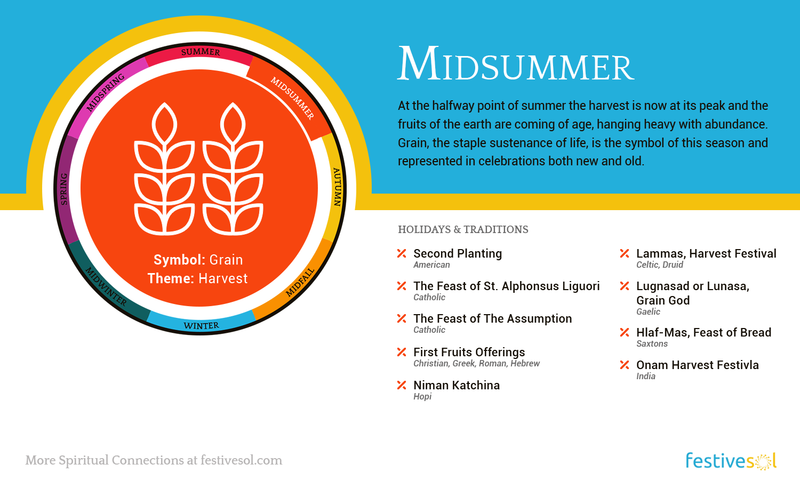 Continuing our series, Spiritual Connections Around the World, we now move into Midsummer — the halfway point between Summer and Fall. As summer begins to ripen, the harvest and feasting are joyful centerpieces to celebrations during this seasonal turning point. The halfway point of summer is like a well-ripened piece of fruit. With the harvest now at its peak, the fruits of the earth are coming of age and hanging heavy with abundance. Grain, the staple sustenance of life, is the symbol of this season and represented in the celebrations at this time of year both new and old.